Untreated and exceptionally clean, this stone has a light pastel purple hue which isq exceptionally unique. 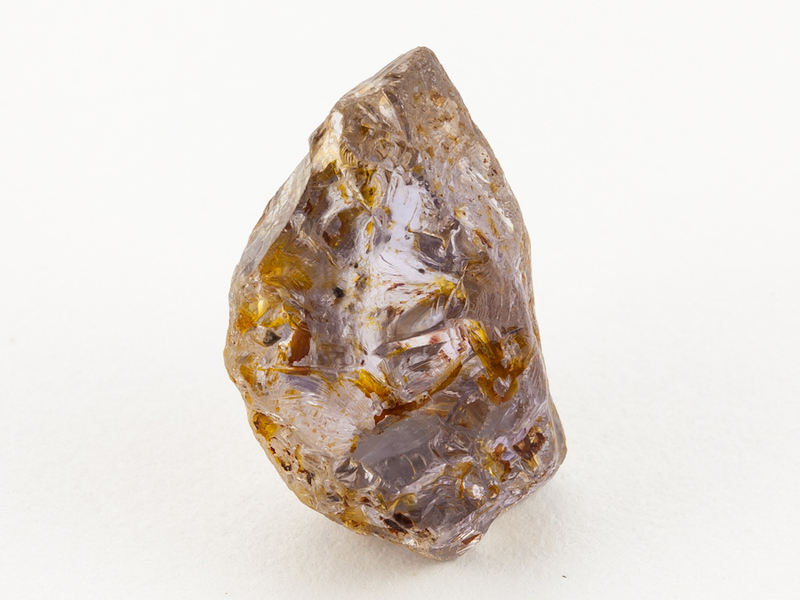 Naturally preformed for a barion cushion or pear, there is a window polished on the back to take a RI reading, it also shows just how clean this stone is, with only a few scattered inclusions. The photography shows a number of iron stains, which a limited only to the surface of the stone.